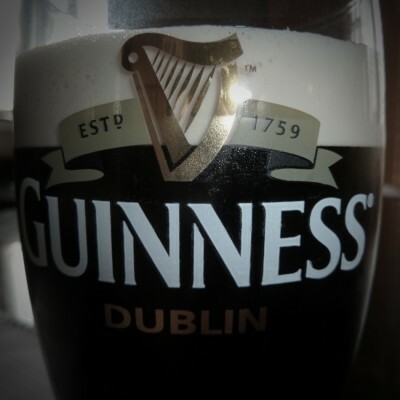 Many say the Guinness served here in the States doesn’t taste the same as the Guinness served in Ireland, its home country. Since I’ve never been to Ireland, I can’t say for sure whether that’s true or not. Like Boddingtons Pub Ale, this one came from a nitrogen-pressurized can. The effect is much the same as the Boddingtons; the nitrogen makes this an extremely smooth and creamy beer with a nice head. 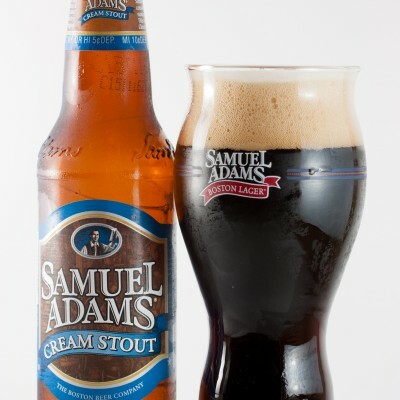 It has a light coffee and chocolate flavor and is used in many of the Rose and Crown’s blends. 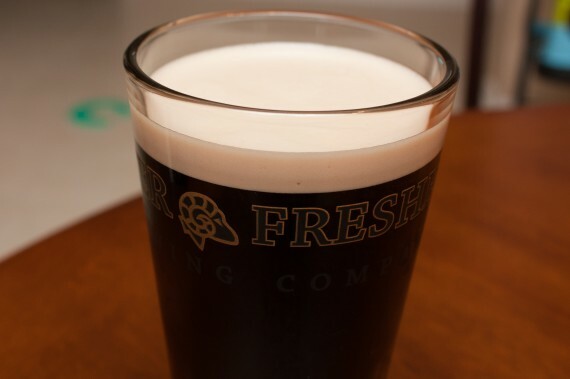 Despite its dark color it’s a bit of a thin beer; a stout like this could be a bit thicker. 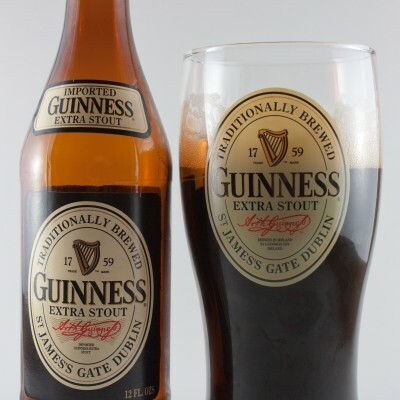 Have you tried the Guinness Extra Stout? It only comes in bottles. It is a lot heavier, has half again as much ABV and more hoppy bitterness. Only in the last year did I realize Draught and Extra Stout are two different beers. I kind of like that the Draught is smoother and has less ABV (~4.3?) – makes it more of a session beer. Surprisingly low carbs, too! 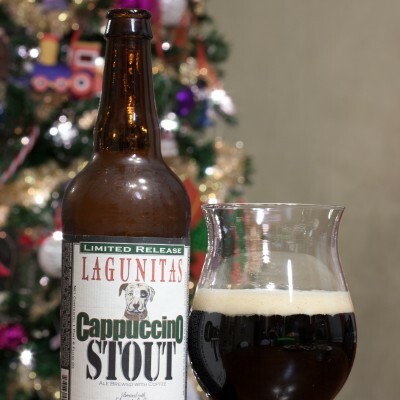 I haven’t had Extra Stout yet. 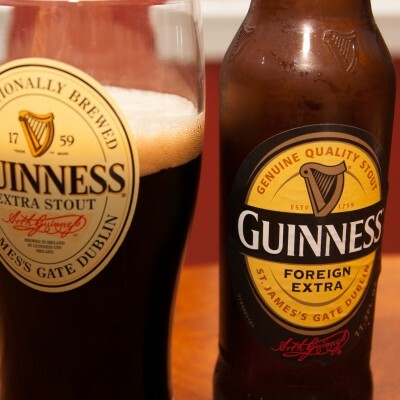 Guinness has also brought another brew called Foreign Extra to the US recently, which I haven’t tried either.